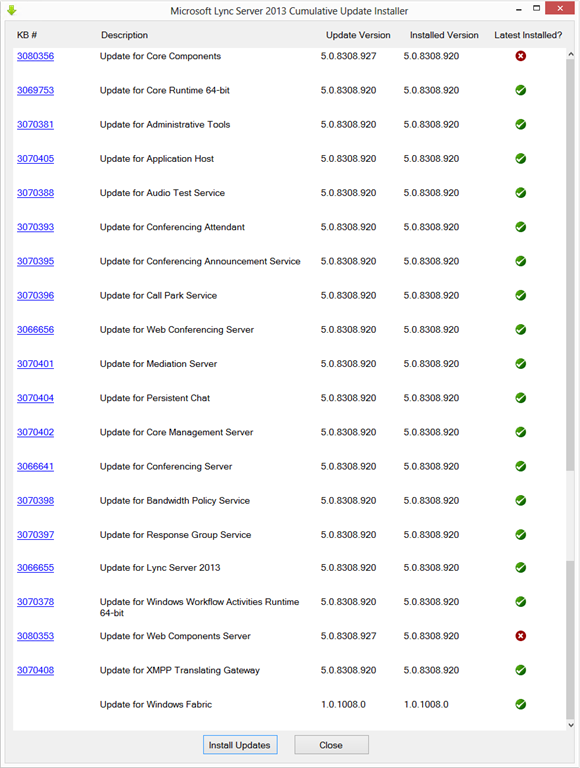 This security update resolves vulnerabilities in Microsoft Lync Server. The most severe of these vulnerabilities could allow elevation of privilege if a user clicks a specially crafted URL. An attacker would have to convince users to click a link in an instant messenger or email message that directs them to an affected website by way of a specially crafted URL. To learn more about the vulnerability, see Microsoft Security Bulletin MS15-104. 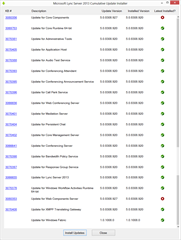 This update takes the server from 5.0.8308.920 to 5.0.8308.927 – although there are only two components affected.